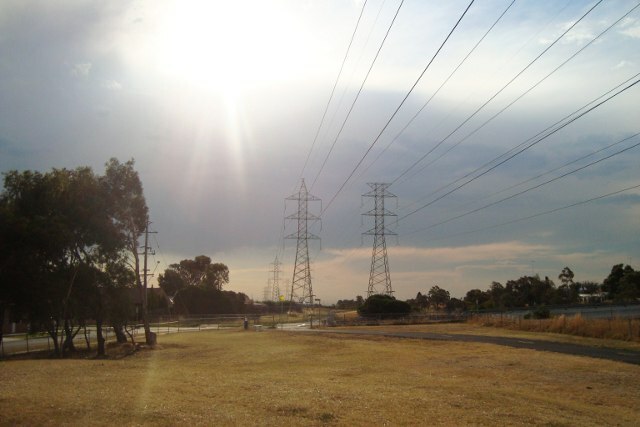 The Premier Denis Napthine warned Victorians that 100,000 premises may lose power during the extreme heatwave due to demand on the state’s electricity grid. Thank you Premier, for your incompetence at managing electricity generation in Victoria. Much of the electricity system is about managing peak demand through ensuring adequate generating capacity in the network. Victoria’s continued reliance on aging brown coal fired generators with impediments to diversification through renewables has let down the electors and residents of Victoria, badly. We are now seeing the results of poor climate and energy policy at the state level. On Tuesday in 40 degree plus heat with demand peaking at at 9,591MW, Kerry Burke, an energy market analyst tweeted in the early afternoon that “Loy Yang A unit 3 , one of Australia’s largest brown coal units just tripped as VIC demand soars. 431MW gone in 5min. Intermittent.” But the grid was able to handle this outage through use of 420 MW spare hydro electricity in the ten minutes following the trip, Burke explained. The extreme heat across Victoria and our neighbouring states of South Australia and New South Wales is causing high demand on our electricity supply, which, coupled with reduced capacity from Loy Yang A, is placing strain on our system. Accordingly, the Australian Energy Market Operator (AEMO), the organisation responsible for managing supply and demand for electricity, has advised me this afternoon that it may need to reduce the amount of electricity being supplied to Victoria. This reduction could affect up to 100,000 homes and commercial properties in Victoria. AEMO has advised that the power outages will not affect any hospitals, nursing homes, public transport or emergency services. To assist with this outage, distributors have cancelled all non-essential maintenance and are assigning extra crews to complete critical works. Large energy users are assisting the situation by agreeing to reduce electricity usage. If you do experience a power outage, contact your distribution company, whose details are on your electricity bill, and please do not call 000 unless there is an emergency. You see, our brown coal generation plants are ageing, and can also be affected by extremely hot weather causing generating units to ‘trip’. Yet in heatwaves distributed solar generation during the day peaks with high reliability, dampening demand on traditional generators. 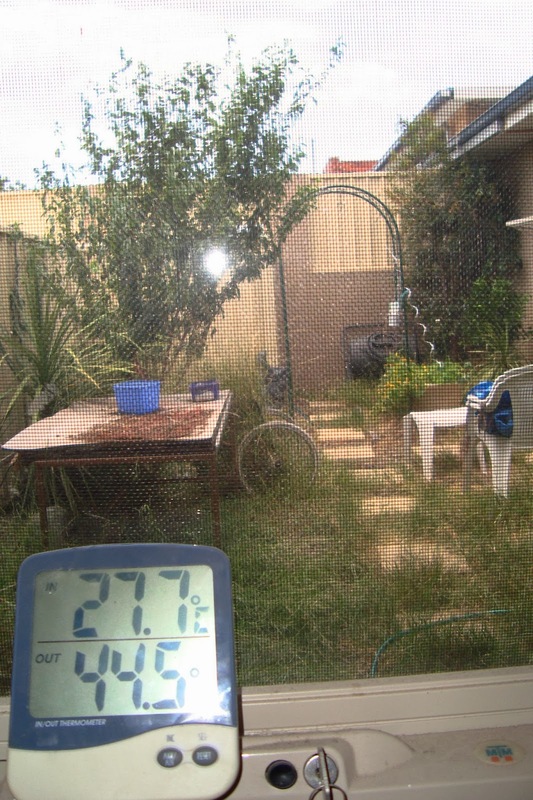 The temperature reached 44.5C at 1.25pm at my townhouse in Fawkner in Moreland’s northern suburbs. I moderated the inside temperature through closing the house up, closing the shutters on my windows, a new awning shading the wall of glass facing onto my backyard and use of my air conditioner. The temperature was 27.7C on the inside. I had spent the morning with my daughter at the pool at Greensborough enjoying the water and the waterslides, so the house had been closed up with no aircon till about 12.30pm. My house has a 1.5kW solar PV system on the roof which compensates for running the air conditioner on these hot days during the peak daytime electricity demand period. I’m lucky. I purchased my system when the feed-in tarif was 33c per kilowatt hour. The Baillieu/Napthine State Government reduced the Feed-in tariff on 30 September 2012 for new systems to 8c/kWh. The Solar Industry wanted a rate of 12c to 16c/kWh at the time, but this was ignored. Many older residents in my suburb and across Melbourne are reliant on air conditioning for cooling their houses during the heatwave. They are at a heightened risk of heat stress and heat related mortality. Loss of power places their health at risk during a heatwave. Extreme heatwaves are a public health risk. Read Climate scientist and researcher Donna Green at The Conversation on How heat can make your body melt down from the inside out. You can also read Brian Drummond, Assistant Professor of Emergency Medicine at University of Arizona, explaining exactly what is heat stroke. In 2010 Scientists outlined health limits of heat stress with Climate Change. The scientific paper by Steven Sherwood from the University of NSW and Professor Matthew Huber from Purdue University – An Adaptability Limit to Climate Change Due to Heat Stress (Full Paper) outlined the health adaptation limits of the human body. And keep in mind that 374 people died from heat related causes in the heatwave in February 2009, while only 175 were killed in the horrific Black Saturday bushfires. 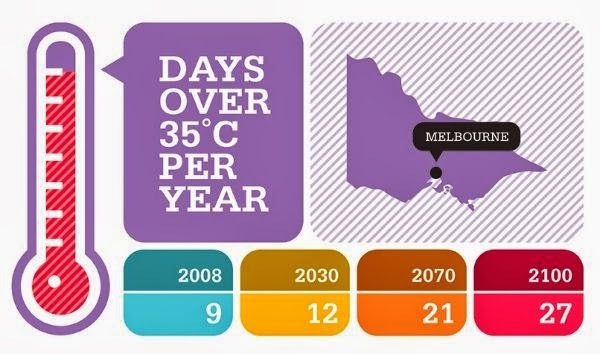 The effect is compounded in a city like Melbourne by the urban heat island effect. Air conditioning is one of the ways we are adapting to global warming. So while conservative politicians have refused to tackle the climate change issue through mitigation, they are now undermining the adaptation measures people are taking directly by mismanaging the electricity grid. About 5.4 per cent of premises in Fawkner have installed solar PV. Across the state the contribution to peak daytime electricity is about 3.52 per cent. In some states it makes an even higher contribution: in South Australia on Tuesday it was up to 9.6 per cent. The advantage of distributed solar generation is it helps reduce peak demand. In fact, Glenn Platt, theme leader for local energy systems at the CSIRO recommends that more businesses should install solar panels to reduce peak demand during heatwaves, according to the Canberra Times. Victoria has also foregone substantial wind farm developments due to draconian anti-wind planning regulations by the Baillieu government, which Premier Napthine has refused to reconsider. South Australia now produces 27 percent of it’s electricity from wind farms, and in windy periods it can jump to more than 50 per cent. This has also resulted in a reduction in wholesale electricity prices for South Australians. In Victoria wind power comprises less than 3 per cent of the state’s electricity generation according to this Sydney Morning Herald report. Many proposed wind farms have been shelved at an estimated cost of $4 billion and 3000 jobs mostly in rural and regional areas. A new Bloomberg study shows that wind energy is now 14% cheaper than new coal and 18% cheaper than new gas. While Victoria remains solidly embedded in a culture of coal energy, Tasmania has been diversifying it’s renewables. It already produces a prodigous amount of hydo power and has been adding wind generation to the mix. The basslink cable allows export of some of this energy to Victoria (thankyou Tassie! ), but is hindered by the capacity of the cable, rated at 500 MW, but only for bursts of power. Premier Lara Giddings unveiled the 56 turbine Musselroe wind farm on Wednesday that can provide power for 50,000 homes. She also suggested a second Basslink cable would help with Victoria’s energy problems. “Vic Energy Minister: electricity supplies cut back could affect 100,000 homes & businesses" #heatwave Second Basslink cable would help. The Taswind project on King Island, involving a $2 billion investment to construct 200 wind turbines for powering up to 250,000 homes, will also require undersea cabling to export the power to us Victorians. This windfarm is ideally located catching and converting the energy of the Roaring Forties through Bass strait. The Tasmanian Government last year launched a new climate action plan that will commit the state to 100 per cent renewables by 2020 and a 35 per cent reduction in emissions. 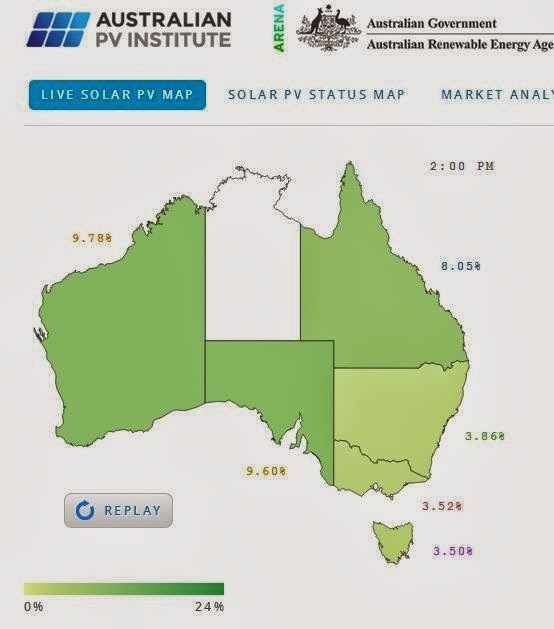 Kerry Burke in this article explains how Solar saved southern states from new and costly demand peaks (RenewEconomy, 18 January) and probably saved us from blackouts during the heatwave. This heatwave is giving a taste of what the new normal climate will be for our children and grandchildren. 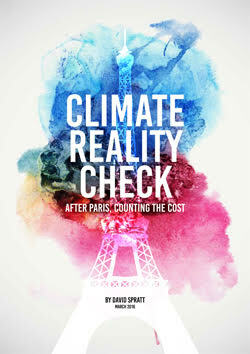 The Liberal State Government came to power saying that they did not need to do much on climate change as the Federal Government had this in hand with carbon pricing and Renewable Energy Target and associated incentives for renewables such as the Clean Energy Finance Corporation. All of which are now under threat by Liberal politicians now in power at the Federal level under Tony Abbott. But what this electricity crisis shows us is that we need to transition our energy reliance to a more diversified model incorporating a strong component of solar and wind energy. Indeed, like Tasmania we should be transitioning to a diversified mix of 100 per cent renewables. 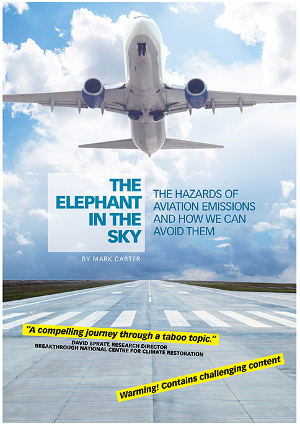 We know we can do this as at least 3 recent studies have shown it is possible in Australia. We also need strong climate and energy policies at all levels of Government. Climate and energy problems aren’t going to be solved at any one level of Government. We need pro-active policies in each sphere. So, I hear there is an election coming up later this year, Denis Napthine? What have you done for reducing emissions in tackling climate change and ensuring reliable and clean supply of energy and electricity to Victorians? Entry filed under: climate change info, news, renewable energy, solar power, Victorian Government. 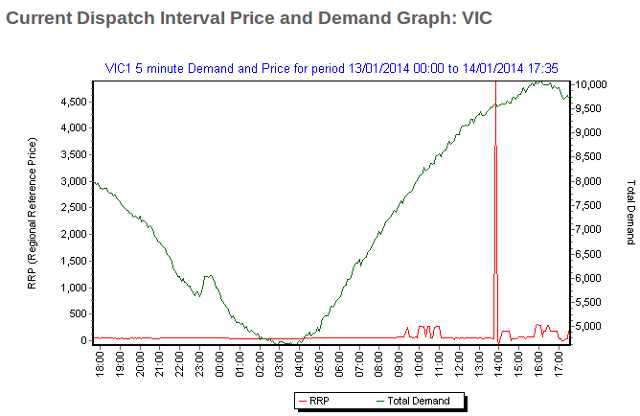 Tags: electricity, electricity generation, heatwave, Premier Denis Napthine, solar, Victoria, wind.